We all need security and discretion once in a while. ShadowPhone provides you with that exact ability. 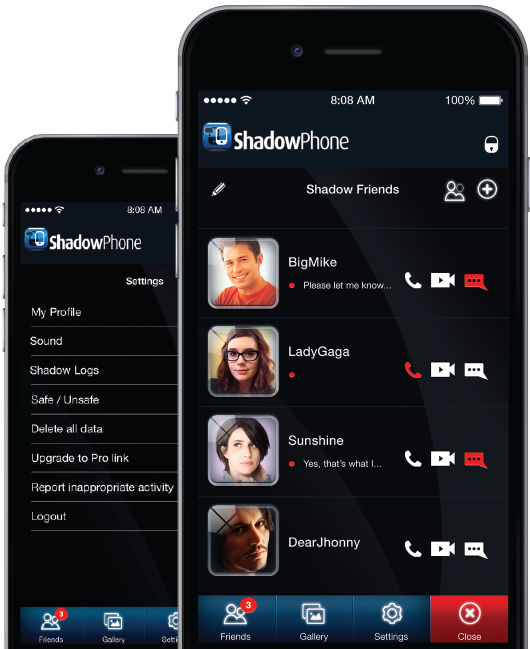 Whether You are having an affair, a politician, a journalist, a victim of a violent ex-husband, a victim of a forced marriage, a corporate employee, a legitimate whistleblower or for whatever reason You are in need of discretion while communicating – ShadowPhone is the answer to Your prayers! ShadowPhone – WE keep YOUR secrets! Delete your shadowfriend – and you immediately delete all communicated content ( pictures etc.) on your friends phone too! Communicate and share your favorite pictures and videos with your entrusted Shadowfriends in a safe environment. ShadowPhone uniquely oﬀers the ability to hide the icon with a decoy app of your choosing. Even when you enter the decoy app, it will appear as a functional normal app, but with a secret entrance to ShadowPhone – which oﬀ course only you know, and only you can access either with your ﬁngerprint and/or a personal code of you choosing. 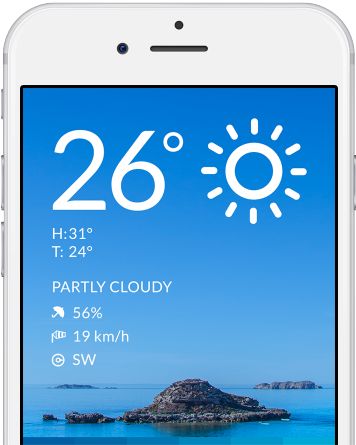 In short – ShadowPhone oﬀers complete protection, discretion and security – and it’s free, once you have downloaded one of our decoy apps. We continue to develop new decoys along the way to the point, where it is almost impossible to keep track of the Shadow Decoy Apps. TEXT, VOICE AND VIDEO CALLS WITH THE COMBINATION OF MULTIPLE DECOY APPS! 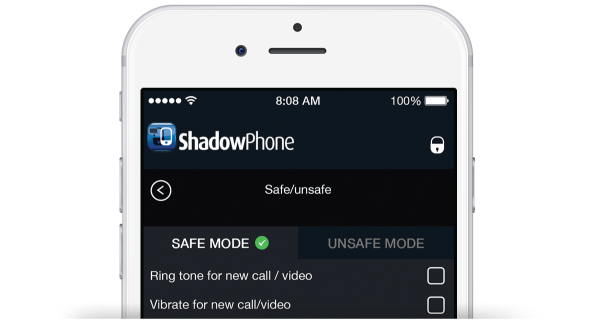 THE SHADOWPHONE SETUP MENU ENABLES YOU TO CHOOSE BETWEEN SAFE AND UNSAFE MODE – WITH THE POSSIBILITY OF ADJUSTING MANY OF THE SETTINGS ACCORDING TO YOUR PERSONAL PREFERENCES. Unsafe mode gives you the opportunity to use ShadowPhone as a perfectly normal phone, with ringtones of your choosing and/or vibration. You can also set the app to log off after a selected amount of time and/or enable the “shake to close immediately function”. The unsafe mode is meant to be used when you are either alone or in a safe enviroment, where your surroundings are familiar with your secret. NOTE: Should you forget your ShadowName and/or password, ShadowPhone will not be able to help you recover it. We do not hold or register any contact information by you or any other customer – as we take your discretion very serious. Unfortunately the cost of our costumers discretion is, that we are unable to support you directly. However we suggest, that you visit our FAQ section. 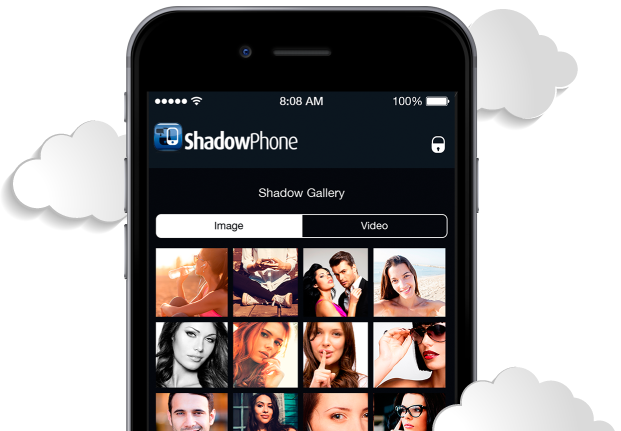 Import your favorite pictures or videos from your phone and share it with your Shadowfriends – encrypted of course. No content is saved on your phone. ShadowCloud saves all your content on an external server, which enables you to delete the app in a moment of panic and later download the app again and reestablish your content – which only you can access of course.